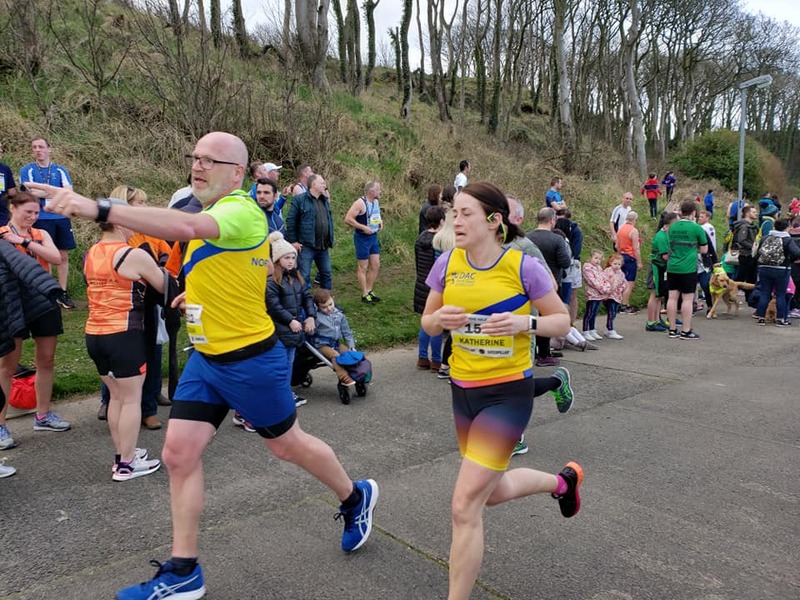 In recent history we’ve had heatwaves on Larne half marathon day, cancellations due to snow storms, but if Goldilocks had been lacing up her running shoes she would have declared this year’s conditions as ‘just right’. 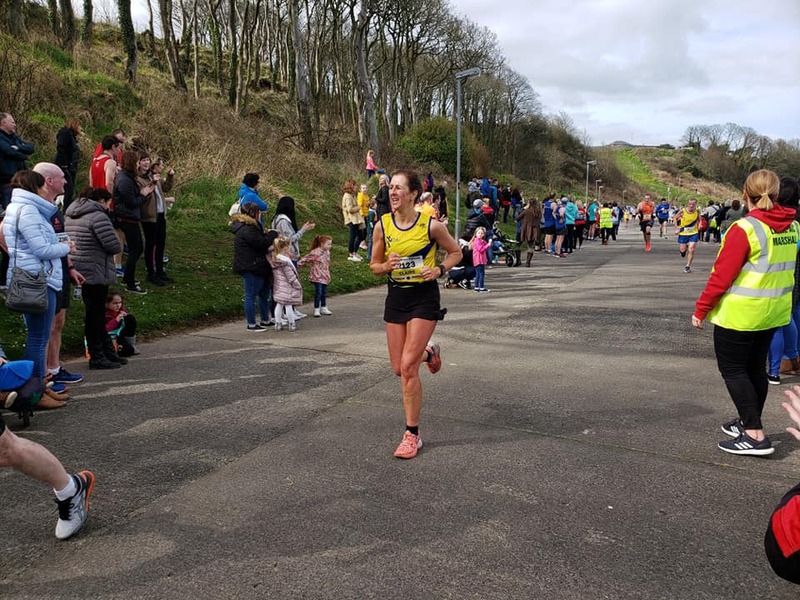 A bumper crowd of 2100 athletes toed the line planning to test out their winter training, with many looking to gauge their progress towards spring marathons on a day when beautiful conditions delivered a deluge of Pb’s. 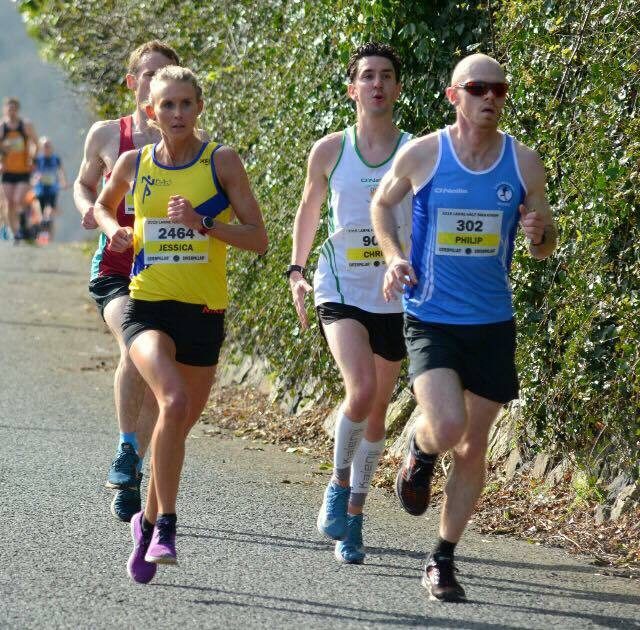 Amongst 32 club athletes it was the ladies who stole the show, not least Jessica Craig (1:19.24/34th overall), who showed great resolve to hold off the experienced Ciara Toner and claim 3rd female on her half marathon debut. Fiona McQuillan continues to make great progress and set a new personal best of 1:27.23, as did Kerry Speers, equally impressive in running 1:27.45. 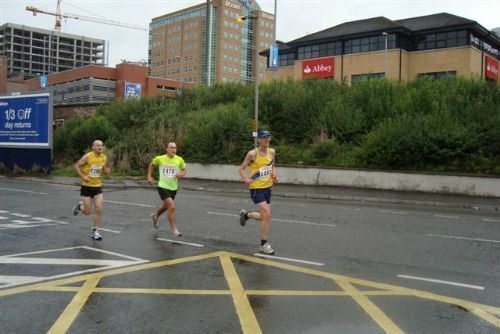 Simon Boyle led the men home in 1:28.06, just ahead of Dougie Gordon (1:28.13) and Steven Donegan, who was delighted to break 90 minutes for the first time (1:29.20). 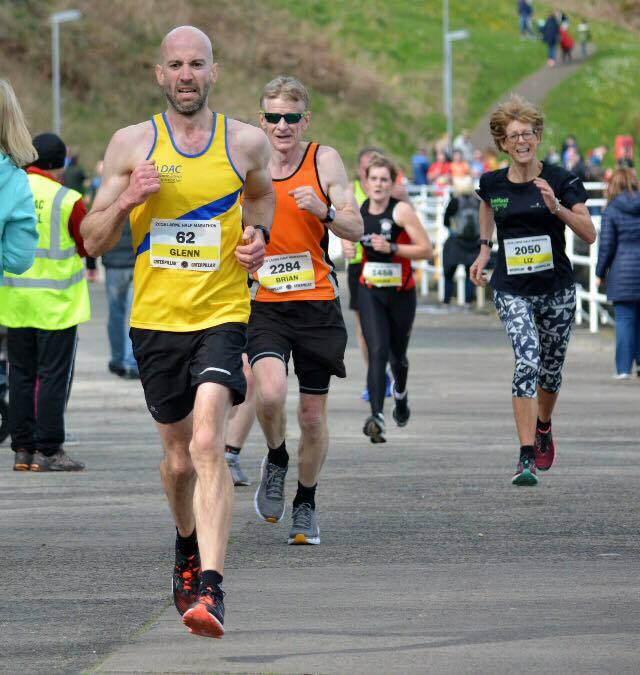 Alasdair Mair (1:30.02) was unfortunate to miss out on the same feat, whilst Steve Wise (1:31.05) was up with the best in his age category. 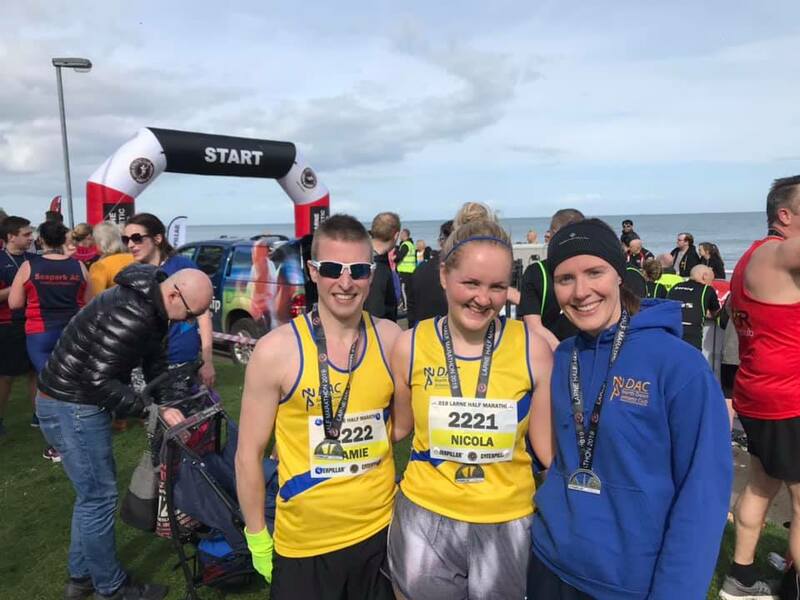 Catherine Roberts (1:33.27), Eamonn O’Reilly (1:34.56) and Keith Gilmore (1:35.17) crossed the line in quick succession, whilst Glenn Armstrong (1:36.35) exceeded his own expectations for a fine new Pb. Mitchell Brown (1:37.12) and Rab Martin (1:39.05) ran well paced efforts, whilst Claire Scott had the pedal to the metal in posting her new best of 1:41.07. 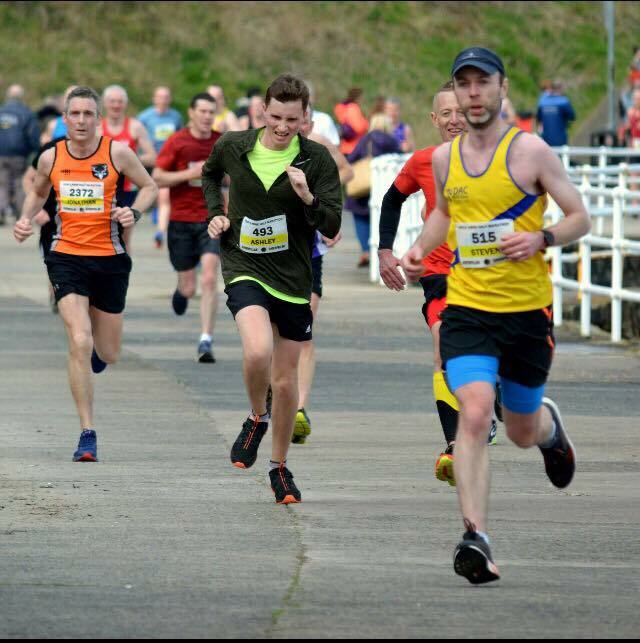 Tom Agnew (1:43.21) finished one second ahead of Louise Watson, the same time difference between Alan Hughes (1:44.25) and Cliff McCausland, with both men claiming hard earned Pb’s. 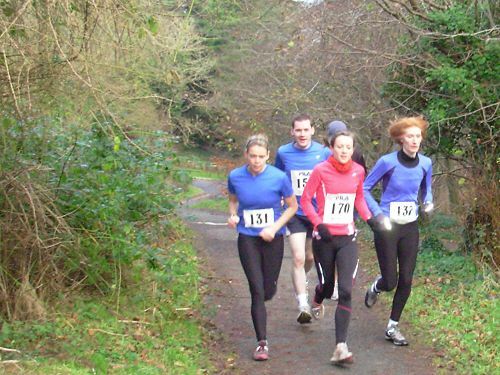 Davy McClements (1:45.38) ran a course best, whilst Lindsay Doulton (1:46.13) and Nicola Downey (1:46.41) earned overall Pb’s. 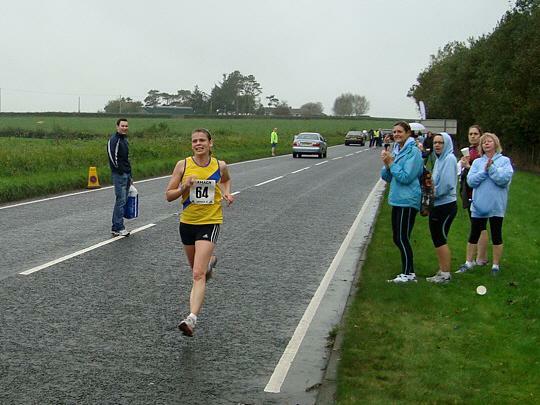 Jill Aicken (1:47.30), Richard Garrad (1:48.24) and Donald Smith (1:52.13) continued the procession of yellow and blue bibs, before Jamie Stevenson claimed another Pb in 1:56.07. Kieran and Katherine McGuigan crossed the line together in 1:57.30 (a new best for Katherine), whilst Colin McEvoy (1:58.24) had plenty to spare in dipping under two hours. Just the other side of that barrier, Alex Irvine posted 2:02.23 and Wendy Murray 2:02.34, whilst Nicola Stevenson was delighted with a new best of 2:08.57. 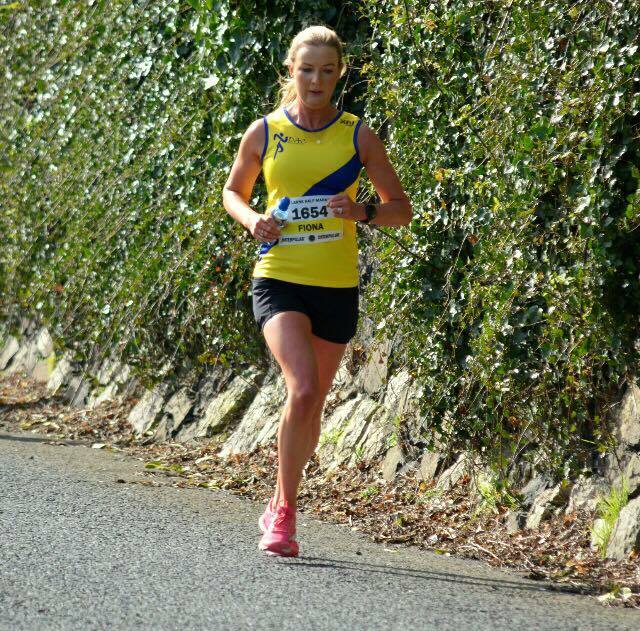 Alison Wise crossed in 2:12.49, before Trish Nickell rounded out club representation in style with an excellent new Pb of 2:21.11.